Advanced CPR Training is the leader in providing American Heart Association CPR, First Aid, and AED training. An Advanced CPR Training instructor will teach rescuers to effectively recognize and treat adult emergencies in the critical first minutes until EMS personnel arrive. 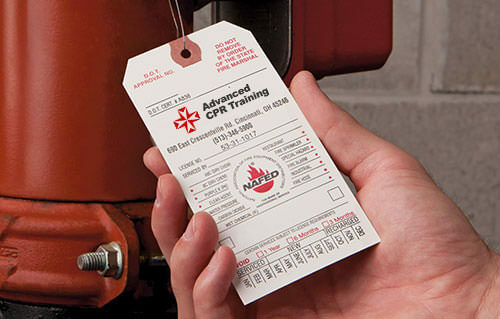 The course also provides a complete health and safety training solution for first aid, CPR, and AED use. Please visit our First Aid and Safety Catalog. Explains basic first aid principles, trains how to recognize and respond to medical emergencies, and teaches specific steps for treating injuries. Teaches hands-on skills and includes practice with a 1:1 student to mannequin ratio presented through realistic case-based scenarios. Trains you how to use an AED to respond to cardiac emergencies. When you sign up for the Zoll Plus® AED program, it’s much more than an AED purchase. 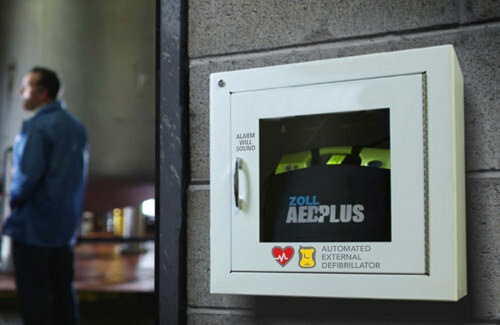 You get the new Zoll Plus® AED, wall cabinet, AED training, pads, battery replacement, and software upgrades all at a low, fixed monthly cost of only $109 per month with a 36-month service agreement. Program Planning – Choose your AED devices, how many and where they will be placed. 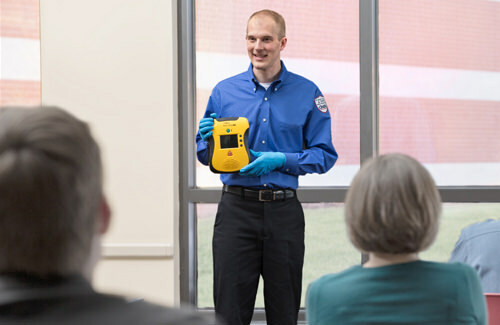 Program Launch – An Advanced CPR Training professional will install your AEDs and provide a demo. 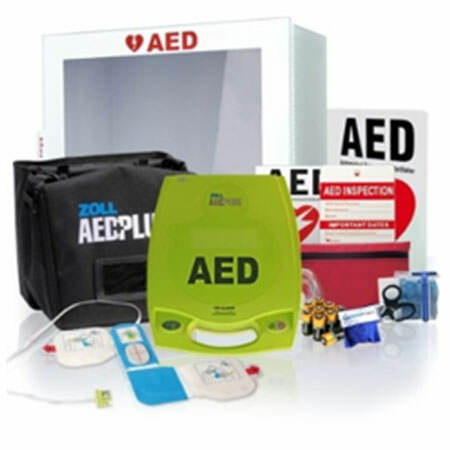 AED training is also available and highly recommended. 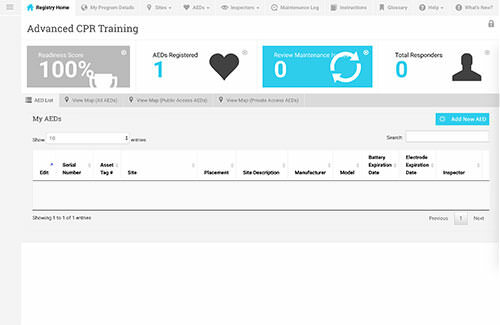 Ongoing Support – Stay on top of your AED program with online program management and regular maintenance. Having your employees trained to properly use a fire extinguisher is important. In fact, giving you the confidence to react quickly during an emergency is a big part of our passion for helping you protect your people and your business. 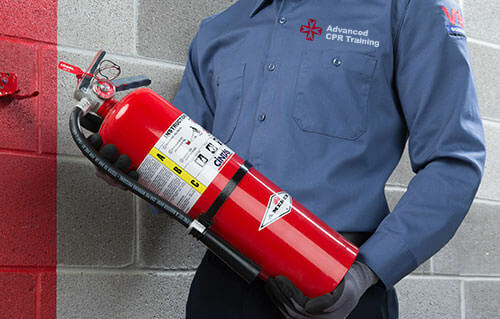 Through hands-on training with fire simulations in a safe learning environment, our professional instructors will educate your staff on the basics of fire extinguisher locations, common fire hazards, proper procedures, safe evacuation routes, and more. 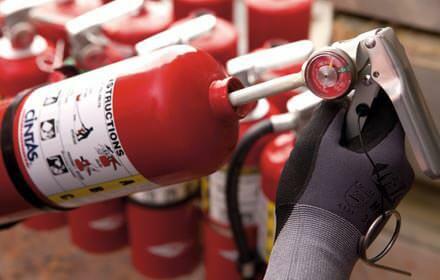 Protection from fire starts with making sure your fire extinguishers are ready to go. Extinguishers are the first line of defence and a valuable means of egress during an emergency. So, it is important that you are properly testing and inspecting each unit in your facility… and that’s where Advanced CPR Training comes in. Verify and Tag Unit: Location and date. Monthly Inspections. The NFPA requires inspection of your extinguisher every month. 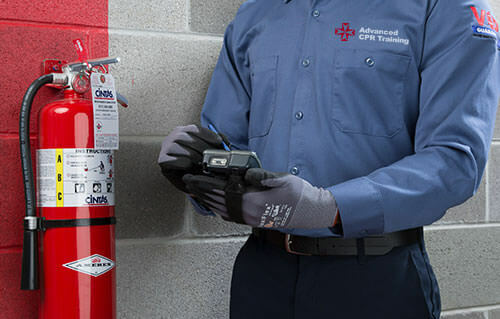 During this check, a Cintas technician will visually inspect the unit, clean, check pull pin as well as provide documentation of the inspection.